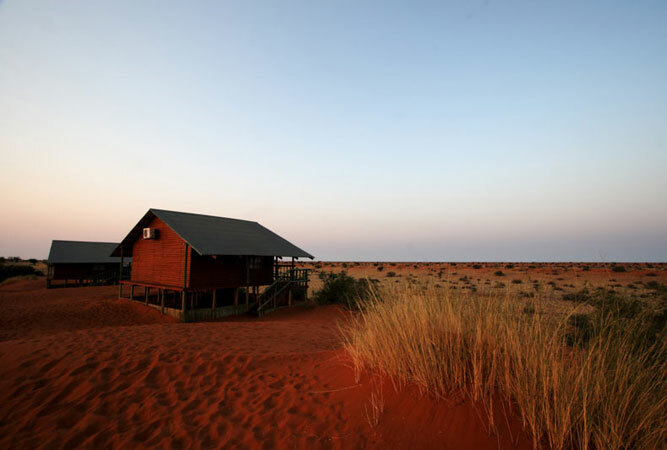 When it comes to recharging, re-connecting and reclaiming one’s sense of self, the Northern Cape’s isolation and beauty is hard to beat. It is one of the biggest provinces in the country, known for its desert landscapes, wild spring flowers and wildlife. But it is not as well navigated by travel books and guides as the Western Cape. Stripped of everything except the essentials this area way up north, just below the boundary with Namibia, is one of the most arid parts of the country. 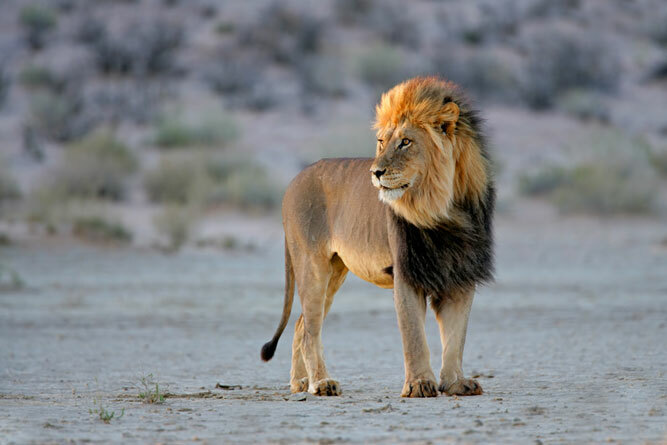 The Riemvasmaak (reem fuss mark) Conservancy is the rugged beauty of the Kalahari desert. Expect hiking trails, 4×4 trails, gnarled roots, boulders and extraordinary rock formations – perfect photo moments, in other words. 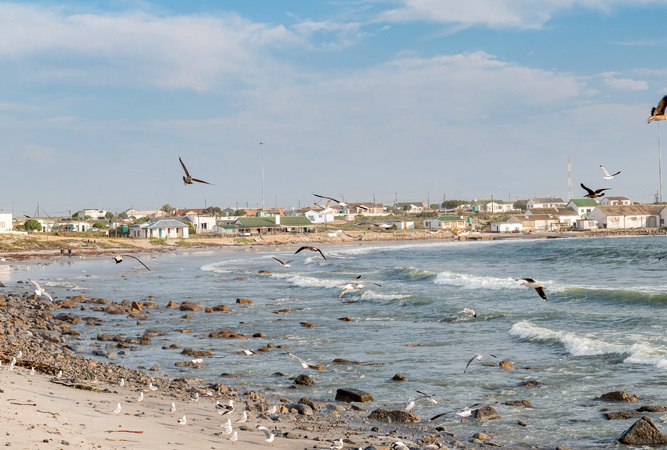 One of South Africa’s ‘forgotten’ villages, with an enviable 14 km shoreline dotted with tidal and rock pools, the small fishing village of Hondeklipbaai has been little affected by commercialisation. 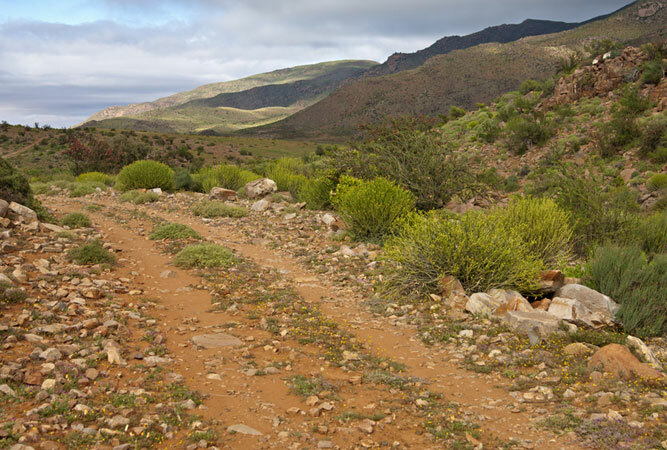 Drive the gravel road from Springbok to Hondeklipbaai through the Namaqua National Park – stark beauty all the way. 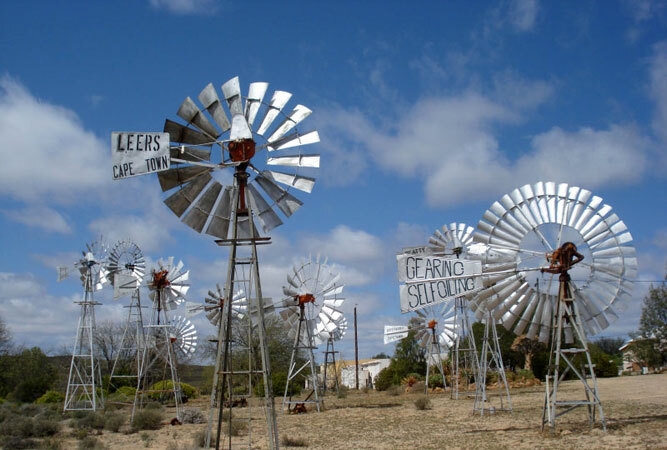 It’s a bit of a detour from the N1 along the N12, but Victoria West deserves an extra day or two on the itinerary, not least for its quaint, built-last-century buildings, De Oude Pastorie (the oldest building in town), wind pumps and art deco Apollo Theatre, which hosts an annual film festival. Look out for the huge solar energy plant en route, just outside De Aar. Richmond is a book town just off the N1, midway between Cape Town and Johannesburg. 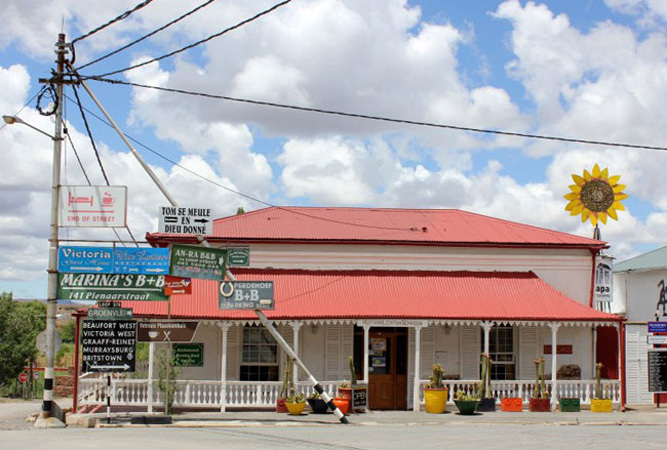 Not only is it pretty, surrounded by stunning scenery but its Edwardian and Victorian Karoo-style houses, romantic verandas, colourful book stores and small-town charm make it a lively and enjoyable place to visit. Jostling for position as the coldest town in South Africa (there are a couple of other towns in the Eastern Cape that come pretty close), Sutherland is famous for its night time star-gazing tours (SALT is based here), and snow in winter. But head to the top of Ouberg Pass for incredible views. 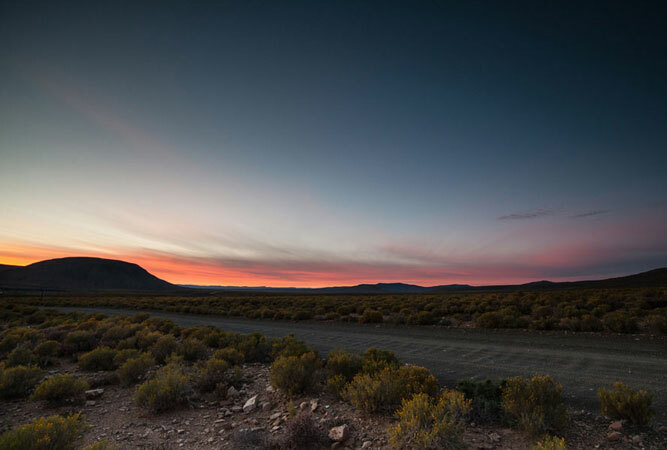 Just over the Ouberg Pass and you’re in the Tankwa Karoo: an arid, semi-desert area dominated by the Tankwa Karoo National Park. This is harsh country – very hot and dry during the day, and sometimes bitterly cold at night. But you can’t beat its beauty. 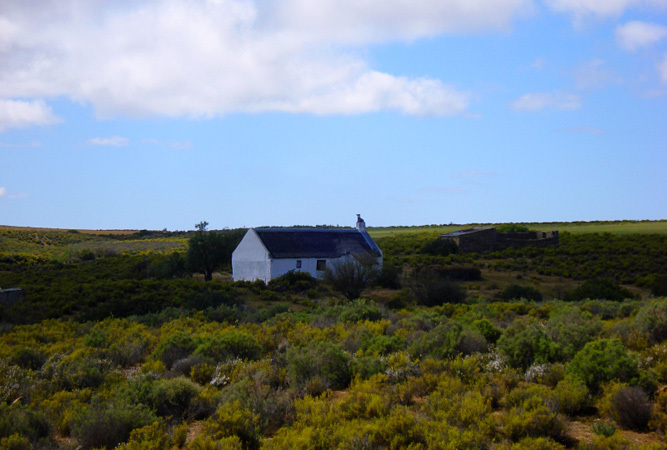 Find the Oorlogskloof Nature Reserve just 16 km outside of pretty Nieuwoudtville. The reserve’s rivers, gorges, caves and plateaus are dominated by two major hiking trails. The view out over the Bokkeveld Mountains is unbeatable. In the middle of the desert in Pella is a yellow cathedral that is over 100 years old. Built by French missionaries, who constructed it using a copy of an encyclopaedia, and little architectural knowledge. The Catholic nuns who run the mission station welcome visitors. This beautiful pass linking Vanrhynsdorp and Nieuwoudtville is only 9 km long, but its snaking climb is gorgeous, and, once at the top, the views over the Knersvlakte are exceptional. The Richtersveld is a vast, mountainous desert landscape filled with immense mountains and weathered kloofs, tucked up against Namibia. The World Heritage Site’s tremendous beauty is the stuff of tales. It is also the last refuge of the Nama people who continue their transhumance lifestyle here. Hakskeen Pan is probably the flattest place on earth. As far as the eye can see (and it can see far because it so very flat) it is level. This, the world’s largest unworked saltpan, lies in a wilderness rich with red sand dunes owned by the !Khomani San. Like its cousin, Verneuk Pan, it attracts speed freaks. 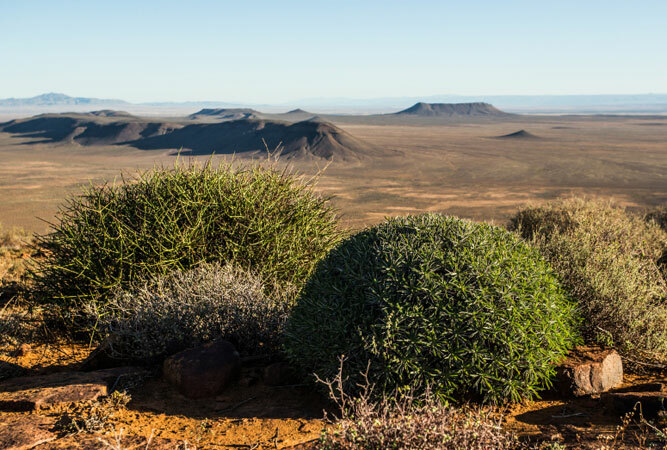 In the Bo Karoo are the sand dunes of Witsand (closest town Postmasburg) famous for their height – they’re up to 100 metres high and 10 km long. They also emit strange roaring sounds when disturbed by either wind or man. Flamingos en masse. Pink birds as far as the eye can see. 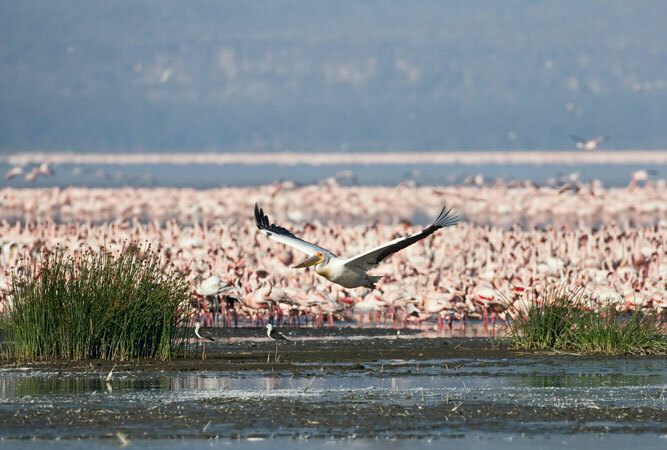 Kimberley’s Kamfers Dam can attract as many as 50 000 birds at any one time. Photo moments in the making. This is one of those little historical gems about which you will know nothing until you venture as far as Kuruman. You’ll find it just outside town. The mission includes the old homestead, the Moffat Church, Mary Moffat’s garden and other characterful buildings in amongst big, old trees. One of the lesser known national parks, Mokala is informally known as the park of endangered species. It isn’t a Big Five park, but there are plenty of antelope and birds. And the landscape is beautiful. If you hire a chalet on the waterhole, you won’t even need to go on a game drive. 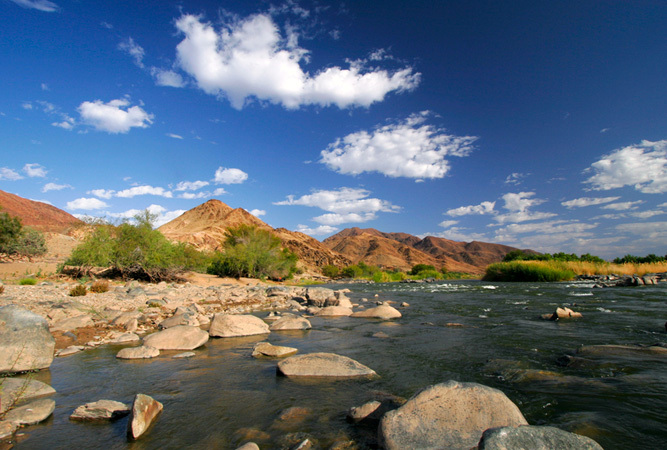 You don’t expect to find green vineyards in the midst of the arid Northern Cape, but find them you do along the banks of the Orange River, along with sheep and cattle farms. Between Alexander Bay and Papendorp is an area called the Diamond Coast. Whilst much of the Namibian coast is still off limits because of continued diamond mining, the Diamond Coast is now open to visitors. Its vast quiet, gentle lifestyle and unhurried seaside villages make it one of the most beautifully desolate coastlines in the country. These unusual domed-roof houses made from flat stones pepper the landscape around the town of Carnarvon. The houses are believed to have been built between 1811 and 1815. Some of them have been revamped and you can now stay in them. This unusual garden filled with windpumps of every size and description makes for interesting photo moments. Find it in the small town of Loeriesfontein in the upper Karoo.